This full day city tour with roundtrip transfers takes you on an unforgettable trip in Abu Dhabi. On this guided sightseeing tour, you’ll get a chance to explore the capital city’s architectural and cultural treasures including Sheikh Zayed Mosque, Miraj Islamic Art Gallery and Abu Dhabi Heritage Village. 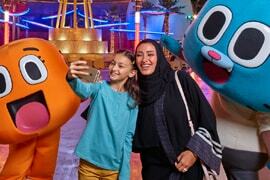 Besides photo ops at points like Yas Island’s Ferrari World and Emirates Palace Hotel, we’ll take you to Date Market and also drive you through the Corniche Road. You can have lunch at your own expense from Marina Mall or Heritage Village. Book your Ferrari World Theme Park through Rayna Tours and add some enthralling fun and adventure to your UAE holidays. Placed on the stunning Yas Island and spread over an area of colossal 86,000 square meters, the world’s only Ferrari branded theme park has more than 20 rides and entertainment attractions. With our Ferrari World entry pass, you’ll have unlimited access to all of these attractions. 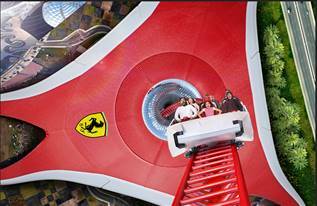 Experience the world’s fastest roller coaster (Formula Rossa), try avant-garde Scuderia Challenge race simulator, make your kids happy with attractions like Junior GT as well as Junior Grand Prix, and take a virtual tour of Ferrari factory in Maranello. There is no perfect way to get up close and personal with the world’s tallest structure than with Rayna Tours’ Burj Khalifa tour. 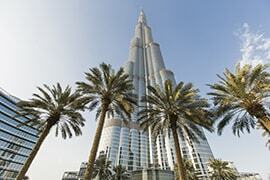 Make your way to Downtown Dubai and gain access to Burj Khalifa via Dubai Mall. Then, climb to one of the world’s fastest elevator to enjoy an exciting ride way up to 124th floor. Get sweeping 360 degree views of Dubai’s mindblowing landscape from its advanced Observation Deck, At the Top. 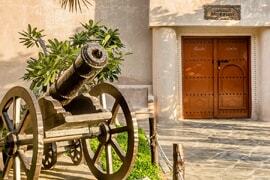 Capture some amazing pictures and also learn about interesting facts about Dubai’s history as well as this alluring structure on your visit here. Get away with a value-added Abu Dhabi vacation package by choosing Rayna Tours’ exclusive 5 Nights package with Ferrari World, ferrari world, Burj Khalifa, Img worlds of Adventure & Transporation, this holiday tour - crafted for 5 nights and 6 days. Pay 20% and Reserve your Package. Really happy with the trip and the services! In 5 days, we got to see some amazing places in Dubai and Abu Dhabi. Every tour was thoroughly planned. Though there were slight delays, we did not face any major issues. Rayna Tours did a great job and we would surely recommend this tour company for people who are planning a holiday in Dubai and Abu Dhabi. The tour is definitely worth your money! Hassle free service by Rayna! Loved this tour! It was a memorable holiday. While the tours were great, what made it really good are the arrangements done by Rayna Tours. The hotel we were put up at was luxurious and comfortable. 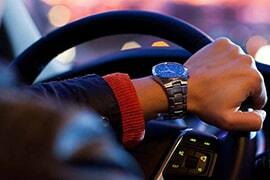 Our airport transfers were also taken care of. In short, we did not have to worry about anything and were able to enjoy the tour tension-free. Great work, Rayna!